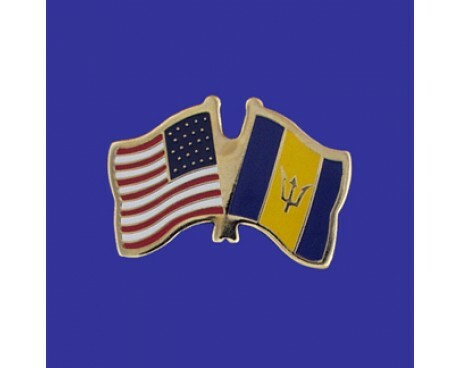 Like many other nations that gained their independence from Britain in the years following the second world war, Barbados has only had one flag as an independent nation. 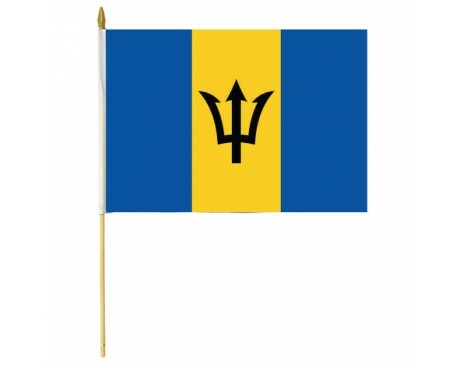 The flag of Barbados is a vertical triband with a yellow stripe that features a black trident between two stripes of blue. The flag is often called "The Broken Trident" in honor of that emblem. The national flag of Barbados was officially adopted on 30 November 1966, the island's first Independence Day. It consists of a triband of two bands of ultramarine separated by a golden middle band. 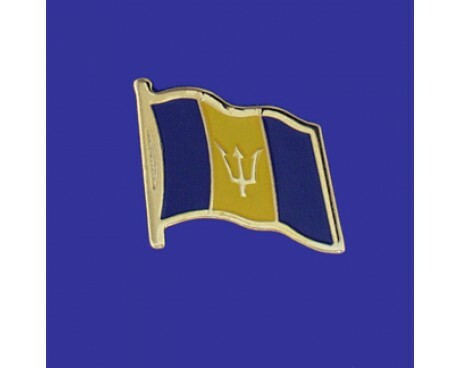 A black trident-head (commonly called the "broken trident") is centred within the golden band. The flag was designed by local art teacher Grantley Prescod, and was chosen from around 1000 designs after an island-wide contest. The Barbados flag represents the nation's island heritage. The deep blue stripes represent the sea that surround the nation, while the yellow stripe stands for the country's beaches. The trident emblem likewise represents the ocean, but each of the trident's three points also has its own meaning. They represent the three guiding principles of democracy, that a democratic government must be made up of the people, for the benefit of the people, and it must be organized by the people. The bottom part of the trident has been broken off, which represents the nation breaking away from its colonial past so that it can forge a new future as an independent country. There have only ever been two Barbados flags, one from the colonial period and one that represents the modern, independent country. The colonial Barbados flag followed the same pattern as most British colonies. It was a British blue ensign defaced with the colonial seal, which showed Britannia rising from the waves and holding a trident. That flag represented Barbados until the nation gained its independence in 1966. The new nation needed a new flag, so the government decided to hold a contest to design the new flag of Barbados. 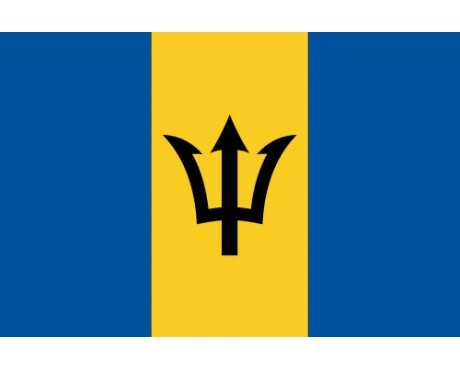 More than one thousand potential Barbados flags were submitted to the government, which eventually chose the modern design. That design had been submitted by a citizen named Grantley Prescod, whose design has represented his nation ever since.